Is there any difference between interior design and interior decorating? Although these two terms are often used interchangeably, they mean two very different things, although they are both concerned with improving the way a space looks. Interior design is both an art and a science requiring formal study in several subjects, including fabric and color, furniture design, space planning, and architecture. Once they pass an exam and graduate, interior designers may need to be officially registered, depending on the rules for their state. These professionals assess a space both in term of how it functions and how it looks. Interior designers can assist with every aspect of planning a space, from helping architects and contractors to design a room or building for a client to adding a space’s final decorative touches. The aesthetics of a space are the domain of interior decorators. While no formal training to learn about the elements of interior design is required to become one, individuals can choose to attend training in furniture style, room layouts, space planning, colors, and fabrics. Completion of these courses can allow a decorator to become certified in one or more of the aforementioned disciplines. Typically, interior designers are charged with improving and updating an existing space. They come in after the completion of structural work on a building or room to assist clients with choosing a furniture style and color schemes and purchasing paint, furniture, and accessories. If you need to restructure your space by installing new windows or removing or putting in a wall, then an interior designer can help you design the space for its maximum function. However, where it comes to choosing paint, furniture, accessories, and similar items, you can accomplish these without having to hire someone. There will be three aspects of your room design that you’ll need to consider when improving your space: style, room purpose, and spatial awareness. Let’s take a more in-depth look at each of these. Every room in your home has a different purpose, but what about the room you’re decorating? Whether it’s currently full of furniture or completely empty, consider it a blank canvas. What would you like to use it for? Being able to define purpose is the first step. From this point, you can consider style and space. A kitchen may be the place where friends and family gather to enjoy a meal, but a bedroom may be the place where you can relax after a long day. The purpose of each room will help you choose the right elements and decide which basic interior design rules may work best. In order to find your style, you’ll need to conduct some research. Look at style magazines to see what resonates most with you. When you find something you like, mark the page or take a picture of it, as this will be the beginnings of your personal wish list. Visiting a local fabrics store to get familiar with common colors, patterns, and fabrics can also help you determine what you might want in your home. You don’t have to restrict your research to the inside; nature can also provide you with plenty of design inspiration. Gardens can alert you to the concepts of symmetry, height variation, and shape. There are also defined style types, such as modern, coastal, traditional, and industrial. Each has its own defining elements. Modern style is about simplicity, featuring clean lines and minimal clutter and accessories. Coastal or nautical style recalls beach life and includes the use of painted wood, blue and white stripes, neutral shades, and rope accents. In traditional style, rich colors and dark finished wood, along with luxurious fabrics like brocade and silk, are common. The industrial style pays homage to the turn of the century with exposed steel, distressed wood, and copper accents. The way in which different room elements work to bring a design together is referred to as spatial awareness. Elements of spatial awareness include a focal point, symmetry, patterns, and colors, but this aspect of interior design also includes the space of a room and choosing furniture and other aspects accordingly. The focal point of a room is where your eye is drawn first. This could be a window, a sculpture, a fireplace or an accent wall. Windows can be accented with shutters or drapery in your preferred color and style. A sculpture or painting can be placed underneath a light to draw attention, and an accent wall can be painted in a bold color. You’ll also want to consider the proportions of the furniture in a room. Where a large living room will be able to carry big and bulky furniture, a coffee table, and lots of accessories, a smaller room will feel a lot larger with furniture of lighter construction, side tables, and minimal accessories, allowing you to use more of the room. Although you can have a number of different patterns in your room, they should all complement each other in terms of scale, size, and color. The colors you choose should be from the same palette, as this is what will impact how “put together” the room looks. Dark colors will generally tend to decrease the perceived size of a room and, so, may be more preferable for larger spaces. Lighter colors can help to increase the perceived space of small rooms, with darker shades best left for accessories. There are certain interior design basics interior decorators employ to give a room that “wow” factor. They are all easy to incorporate into your own design. You can guide a person’s eyes through a room by ensuring it has rhythm. Rhythm involves shapes, prints, and colors. 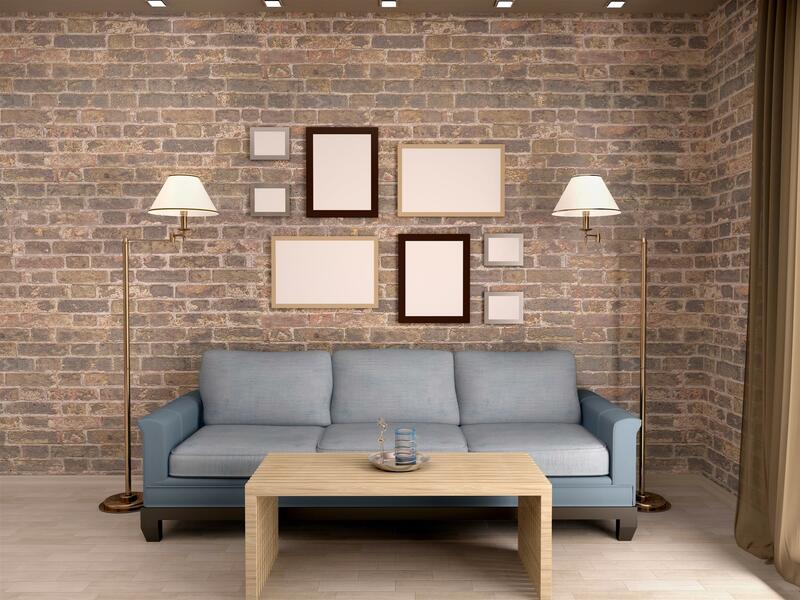 For example, hanging a group of pictures with identical size frames in a straight vertical line will attract the eye. Installing lighting at alternating heights will also add interest. Pulling a room together also involves unification. This can be achieved by choosing a few colors for a room and using varying shades of those colors in its accessories. You can also place similar shapes in close proximity to one another, such as putting a small round table underneath a round wall mirror. The way in which you arrange your furniture will determine the type of balance in that room. You may choose a central point from which to extend furniture outward or place furniture across the room’s center, for example. When looking for your design elements, you don’t necessarily need to purchase them new. Thrift stores can yield many treasures, many hardly used. You also won’t want to spend your entire design budget on expensive accessories because you’ll have to replace them whenever you decide to change the style of your room. Instead, you might consider investing in essential items like a bedroom or living room set. You’ll also want to spend money on those things that you can take with you should you choose to move in the next few years. For instance, you will be able to bring your sofa with you, but you will have to leave that fancy new wallpaper behind. If your design budget is really small, you can still do some redesigning by swapping out your old lighting fixtures for updated ones. 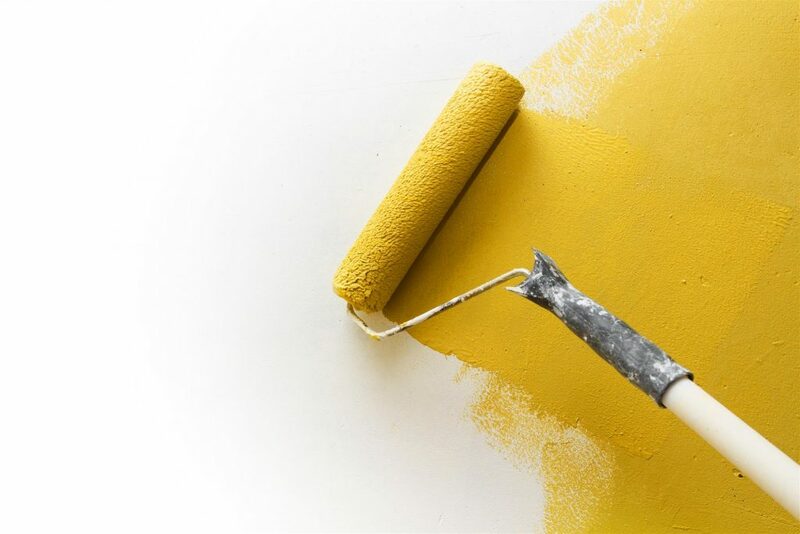 Whether you’re looking for interior decorating tips or the perfect paint colors for your space, Brinkmann’s Hardware can help. We’ve been helping our customers to make their design dreams come true since 1976. Learn more by contacting or visiting us at our Sayville, Blue Point, Holbrook, or Miller Place locations today.